I wasn’t trying to be clever by doing a “Christmas in July” dinner. In fact, the idea didn’t even cross my mind when I added “Crown Roast” to the list of 30. 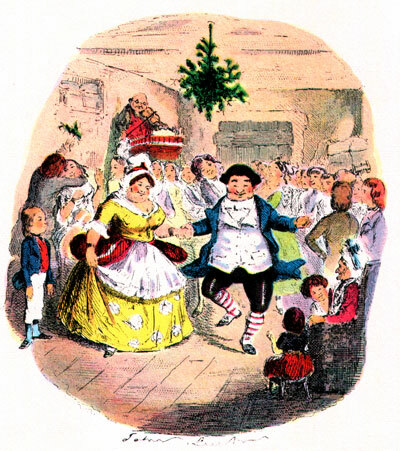 Had the item been “roast goose” I’d obviously have been mentally queuing up the carols. I knew that crown roast was a festival meal fit for a celebration, but I started to get worried as I looked at recipes. Every review seemed to say “a new Christmas tradition!” or “I can’t wait to make this again next Christmas!”. So, unexpectedly, I prepared a Christmas dinner in the middle of a July** heat wave. To begin: a Crown Roast is a rack of pork ribs that have been trimmed, frenched, and tied into a round so the ribs can stand on end while roasting. The shape of the roast mimics a crown, hence the name. Also, I like to think its a meal fit for royalty, but that’s just because I like fancy stuff. Start by, once again, befriending your butcher. 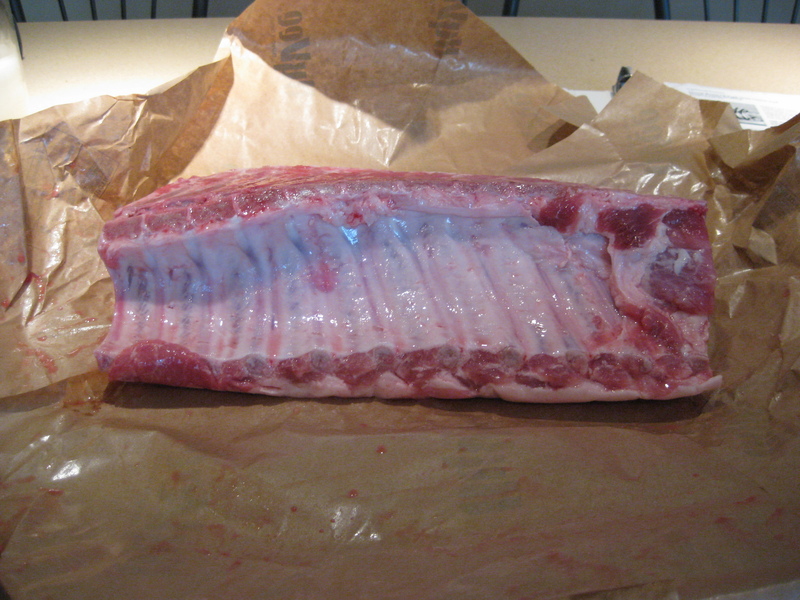 I explained what I wanted and our butcher found and trimmed the ribs for us. We did the trimming and frenching ourselves at home, but a butcher can do this for you. NOTE: I made my first mistake here. We were having 6 for dinner, so I had him cut down the rack. DO NOT DO THIS. Spend the extra money and buy the whole rack. We discovered an hour later that our roast was too short to bend into a full crown (less ribs = less length = tighter circle). In fact, we couldn’t even stuff it. I just made this stuffing separately, baked it, and served it as a side dish. So, once you get this thing home, you cut the extra meat from between the ribs (save it for the stuffing!) and then french the ends of the bones. Frenching is when you take a sharp knife and clean all the meat etc. off the bones. You’ve probably had lamb chops like this. The roast gets seasoned, bent in on itself, and secured with cooking twine. I seasoned it with salt, pepper, thyme, and marjoram. It goes into a roasting pan and then pour 1 1/2 cup of water in the pan to keep it moist. I didn’t take a picture of this…I was still berating myself for lacking basic knowledge of roast engineering. The roast goes in the lower 1/3 of the oven at 350°. After about 30 minutes, cover the tops of the bones with foil. You’ll want to periodically check the roast to see if you need to add additional water. I added additional water. Then some white wine and some chicken stock as well. Cook until its out of poisonous range, 155°. It took our 12 rib roast about 2 1/2 hours.